A newcomer to the hip hop scene, she began writing at age 11 and the idea that her captions might actually be lyrics only occurred to her somewhat recently, when a friend opened her eyes to the possibility of turning her poems into raps. To date, she’s been featured on several music blogs and websites, including onUrbanSteez.com Unsigned Hype,HotNewHipHop.com, Tumblr.com, Pound Magazine, and a feature for TheFader.com. In two short years, she already has thousands of fans following her career and continues to build her buzz online. Her songs have presently surpassed the 40,000 mark in downloads, and have over 100,000 views on YouTube. 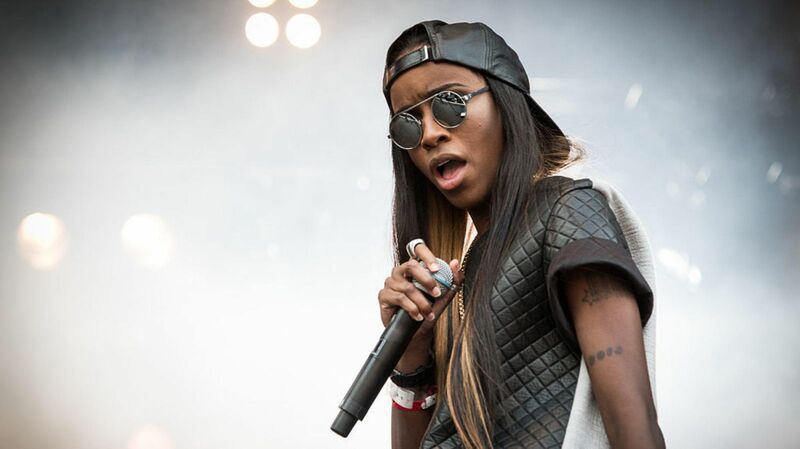 Angel Haze is as confident as she is shy, and as proud as she is humble. Like many, her music provides a breath of fresh air for those who have an appreciation for music with genuine substance. When asked her goal as a musician, she confidently replies, “I want to make people feel connected. I want to tell a story – everybody’s story”.